Laguna is not Enchanted Kingdom. At least, that is what I should tell myself. 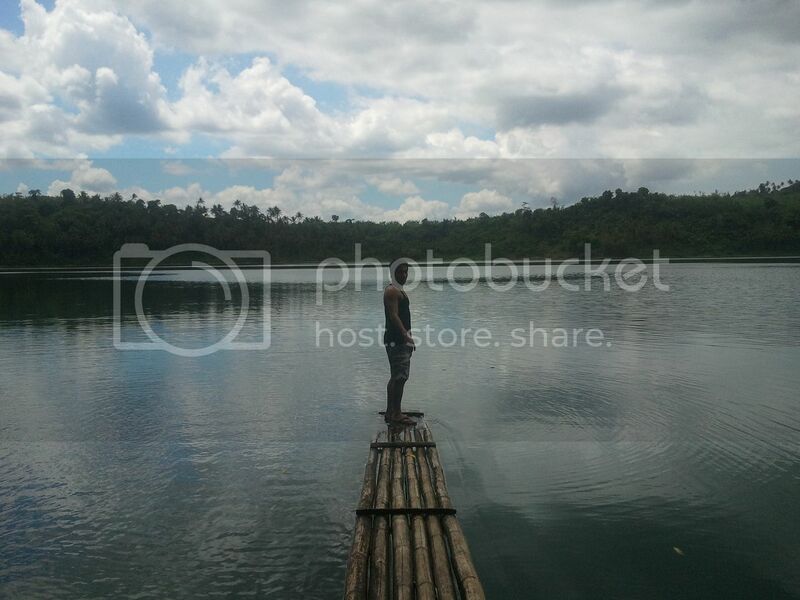 If eco-tripping makes you happy, then Laguna is the place to be because you will never run out of options, and San Pablo is just one of those many attractions that you could explore. Bear in mind, however, that not all of the seven lakes would give you something to rave about. After all, they are all just bodies of water, and none of the seven would serve you drinks or row your raft. The tourist appeal of the lakes heavily depends on the activity and the people inhabiting them, meaning not all seven are the same as tourist attractions. Let us recall our journey so as to give you an idea of what I am trying to talk about. A two-hour bus ride from SM Hypermarket across the PNR train tracks to San Pablo Medical Center is your best bet if you do not have a car. I do not even remember clearly if it was indeed called “San Pablo Medica Center”. All I know is that my friend asked the bus conductor to drop us off somewhere. The next thing I knew, we were getting off and having breakfast at Jollibee. I never did see a medical center. I think it was a basketball court that was clearly visible across the street. After breakfast, we rode a tricycle to get to Bunot Lake. Bunot Lake is picturesque in its own right, but you must not be contented as its siblings are more interesting, in my honest opinion. The tricycle driver had a bit of trouble locating the entrance to the lake, as the area is residential and several gated abodes were blocking the way. When we arrived, I was a bit underwhelmed because I thought it was “the” lake that would be teeming with activity. It turns out that all you could do there is snap a photo, although no one would really dissuade you from jumping in if you so wished. You would notice a mountain (or was that a volcano) looking all might in the backdrop. Take that picture, and then go. The main highway is just a few back flips away, but you could always ride a tricycle if you hate the money in your wallet that much. 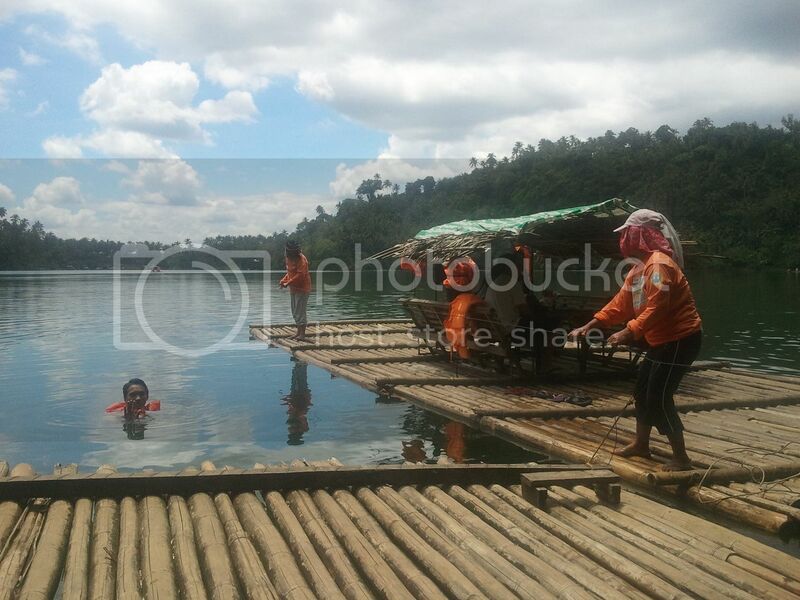 We then asked around and ended up riding a Nagcarlan bound jeep to reach the entrance to Lake Calibato. One must admit how funny it is that itinerary notes online would ask you to locate some obscure signs with Jollibee’s face on them just to know if you should get off or not. Those notes are not joking. While many people frequent these lakes, not all seven are overdeveloped tourist attractions with grand Hollywood-ish name tags on them for easy reference. Hey, getting lost and finding your way is all part of the drill, and consequently makes everything more exciting! The trek down to Calibato lake is enjoyable because of the views. I honestly thought that we were going to some dumpsite because the view of cliffs and mini forests from the entrance made everything look like some reclamation area. It is not until you reach the rather petite stream, which flows all the way to the lake, when it gets more interesting. The atmosphere suddenly becomes a little more thrilling because it would seem as though you suddenly got transported to some movie set. You know those action movies in the 90’s where there would be scenes when the main characters would be escaping the thugs and have to make it through some secluded area with a stream in it? It felt like that. The lake has a small community residing on its banks. They make a living by catching those small fish that resemble, uhm, I am not that good with fish. 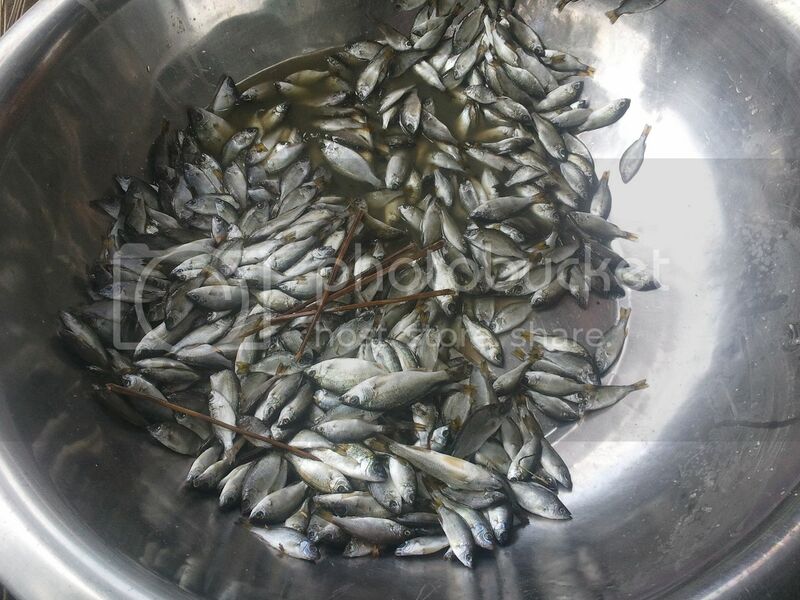 Suffice it to say that they are small fish. You would also see some narrow rafts which they use to navigate the lake. A tour group of what seemed to be call center agents in a team building excursion was there when we arrived, which goes to show that this lake might not be as popular as Pandin, but is obviously not left out from people’s itineraries. You could play on the rafts and laze a bit. Strike a photo or two. Aside from that, there is nothing much left to do. 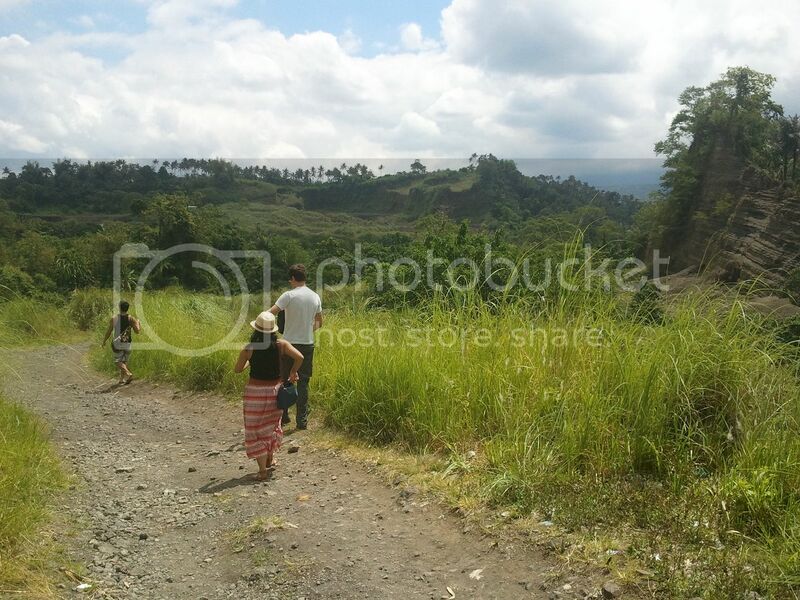 Begin the uphill climb, and then get on a jeepney going back to San Pablo. The ride to Pandin Lake would not take under five minutes. There is a sign saying Yambo Lake. Get off there. 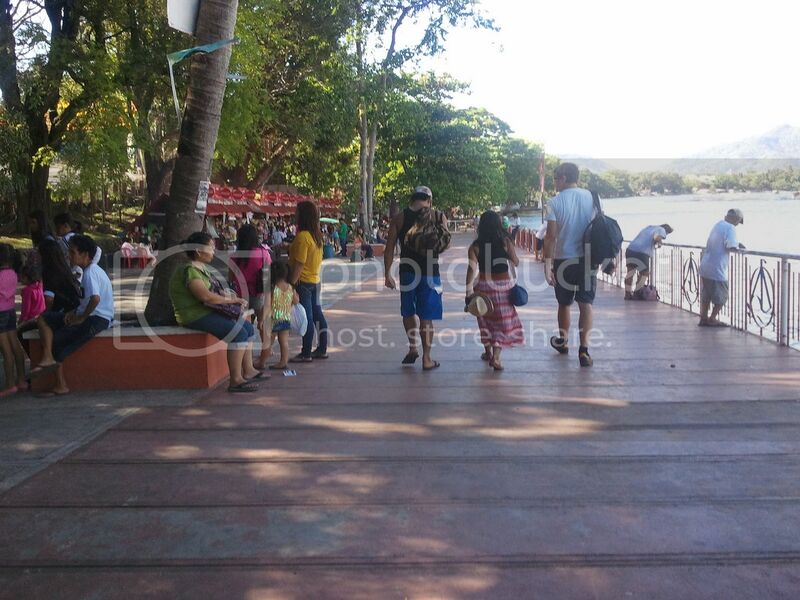 You would see some cars parked by the entrance, and kids who serve as your ushers going to the lake. Regardless if you booked a tour or reserved lunch with Aling Siony or whoever your contact is, it is those kids who would eventually lead the way. Giving them something extra for their trouble is up to you, although I would bet that they are getting something from your contacts who would be waiting for you at the lake anyway. 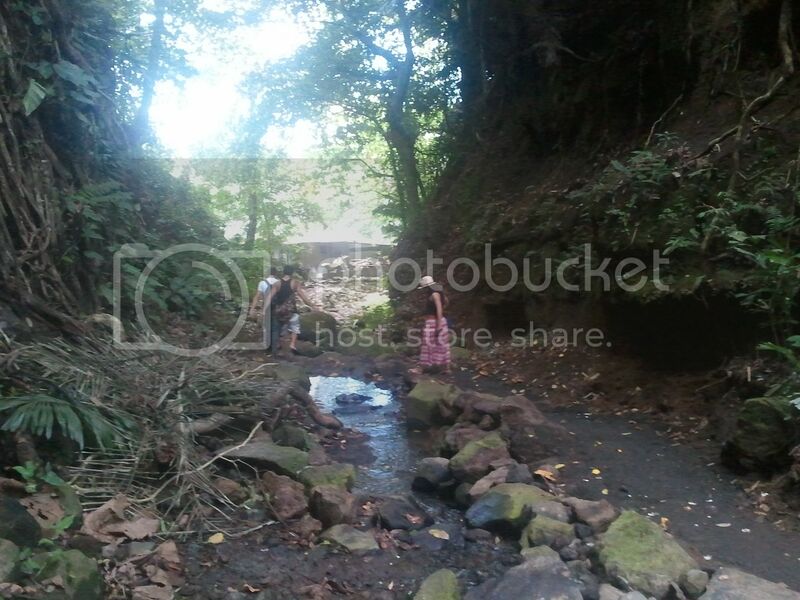 The trek is a bit longer than that of Calibato, but not that exhausting for you to complain. Besides, the raft tour and lunch waiting for you would make it all worth it. Right? Of course. The view of Pandin from the dirt path is inviting enough for you to care. Tied to a bamboo shoot bridging two trees is a playful monkey. On the rafts are your guides, waiting for you to get on board to start the tour. Pandin is, without a doubt, the main attraction for tourists. It is here where school kids in a field trip would be coming in hordes, and it is not hard to understand why. 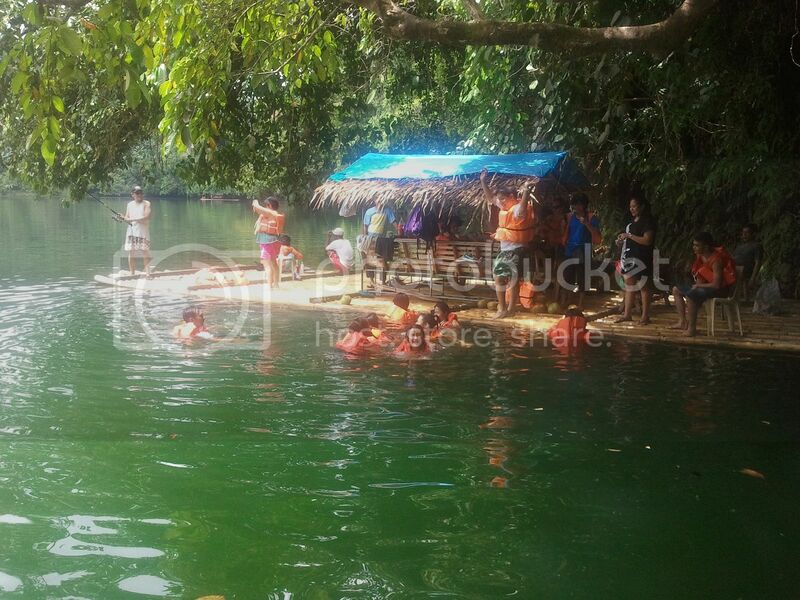 A single raft costs just 180 pesos for two hours. It comes with two tour guides, and lunch if you have another 180 pesos to spare. No utensils here, eating with your bare hands is the norm, which is not that bad if you brought some hand sanitizer with you. I did not, but I was hungry, so who cares! We were served fried tilapia, rice, shrimps, and some vegetable salad along with coconut juice straight from the fruit whacked in front of you. The two tour guides would be paddling, but they also have a long wire tied to a sturdy tree at the opposite side of the lake. Most of the time, they just pull on that cable to get across. The color of the water is green, and seems to glow bright when seen from the slits of the raft. The atmosphere is really quiet, and that tranquility is only broken once in a while care of some loud tourists. There is a grotto on the other side of the lake. A little bit to the west is the brief hiking path to Yambo Lake. 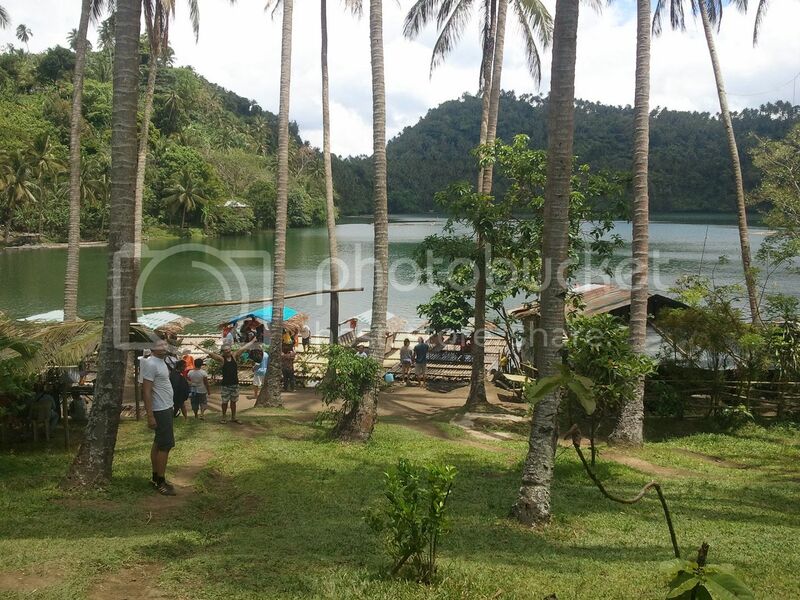 Yes, they are twin lakes, and you could consider Yambo as the snooty one who sits at one corner while the other twin socializes with the other party guests. Yambo also appears to be the photogenic one. Its seclusion from its sister, the main tourist draw, makes it a very peaceful place where you could stay for a while just to enjoy the deafening silence. It is lacking in terms of facilities, though, which prompts most guests to stay for around half an hour at most before going back to Pandin on their rafts, which is a more comfortable way of chilling out. 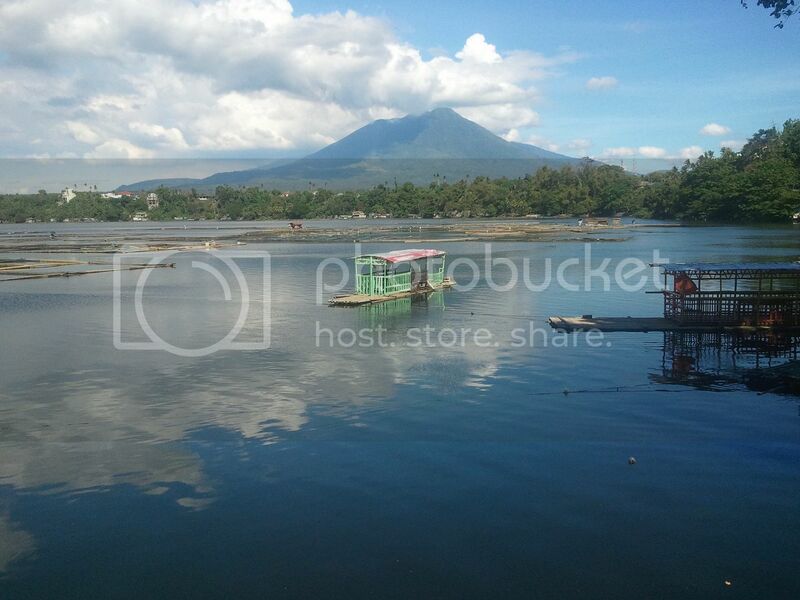 Lake Sampaloc was the terminus of our Seven Lakes tour. The other two lakes, we snubbed. Seriously, how different would they be? We will never know, but were getting tired. As such, we got on another jeep to San Pablo, got off at the town proper near the gigantic Iglesia ni Cristo church, and walked to Sampaloc Lake. 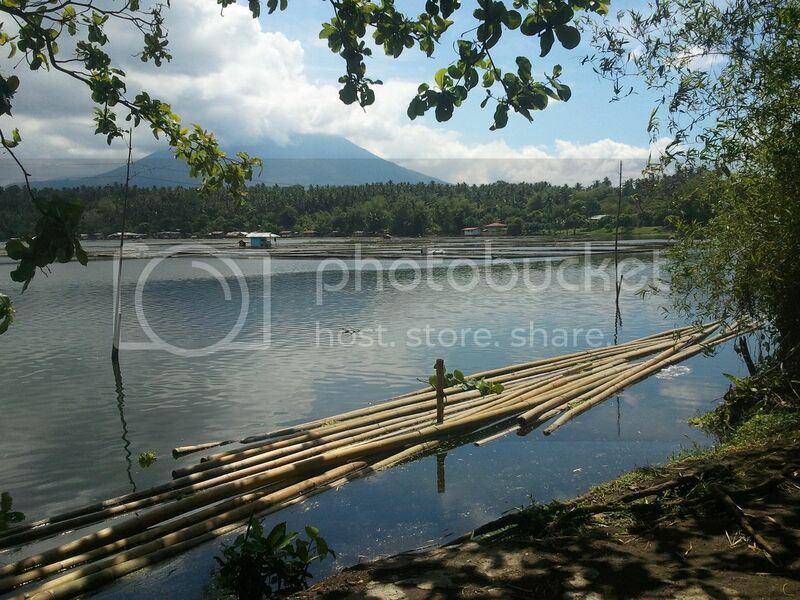 Now, if Pandin is the hotspot for tourists, I imagine Sampaloc to be the hangout for the locals. 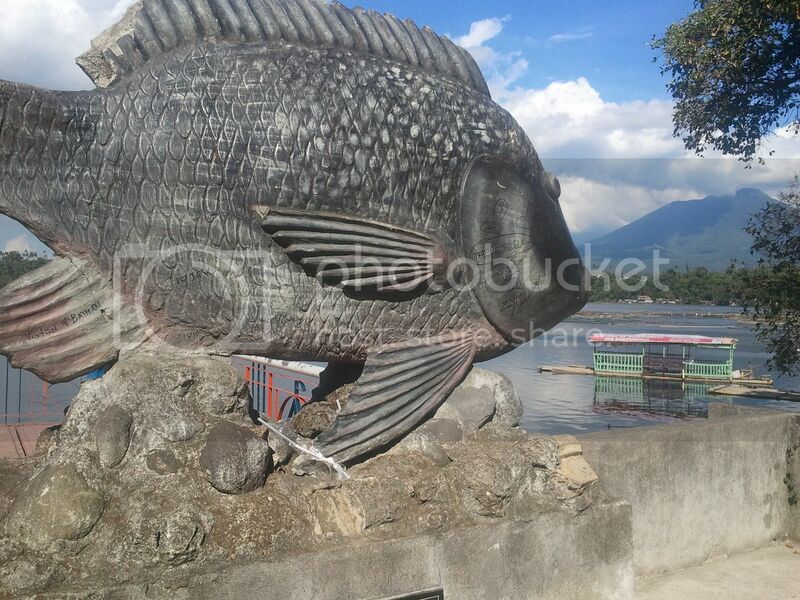 The calmness of Yambo is evidently absent here, as Sampaloc Lake has its own version of bay walk characterized by a large tilapia statue overlooking the lake and again, that mountain/volcano in the background. If socializing is your thing, then this is obviously the place. We ended the tour at Cafe Lago where we had an extension of our lunch. What better way to end a day of walking than pigging out in some random cafe, right? True. The bus ride back to Makati took another two hours. So yes, Seven Lakes is worth a day trip. Once in a while one has to forego snoozing on a lazy weekend in favor of some exercise, right?